Has Marvel Found Their Captain Marvel Star? Recent Academy Award winner Brie Larson is reportedly in talks to be the Captain Marvel star! Has Marvel Studios found its Captain Marvel star? Variety is reporting that recent Academy Award winner Brie Larson has entered early talks to play Carol Danvers and that she is the current frontrunner for the role. Brie Larson is no stranger to comic book adaptations. She played Envy Adams in Edgar Wright’s Scott Pilgrim vs the World. Following her Oscar win for last year’s Room, Larson is headed to adventure as part of the cast of next March’s Kong: Skull Island. Nicole Perlman (Guardians of the Galaxy) and Meg LeFauve (Inside Out) are scripting Captain Marvel, which does not yet have a director attached. 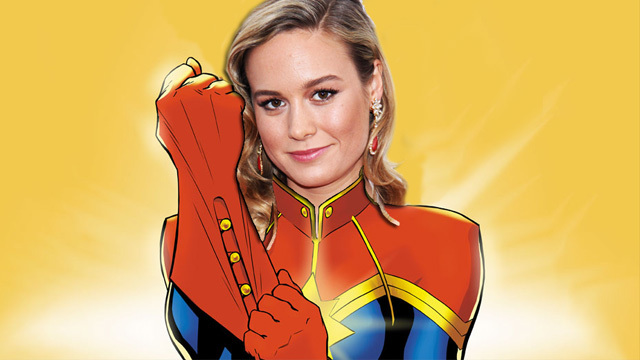 What do you think of Brie Larson as the potential Captain Marvel star? Let us know in the comments below!